Classic Commentaries on books of the Old Testament, by eleven distinguished scholars and authors. 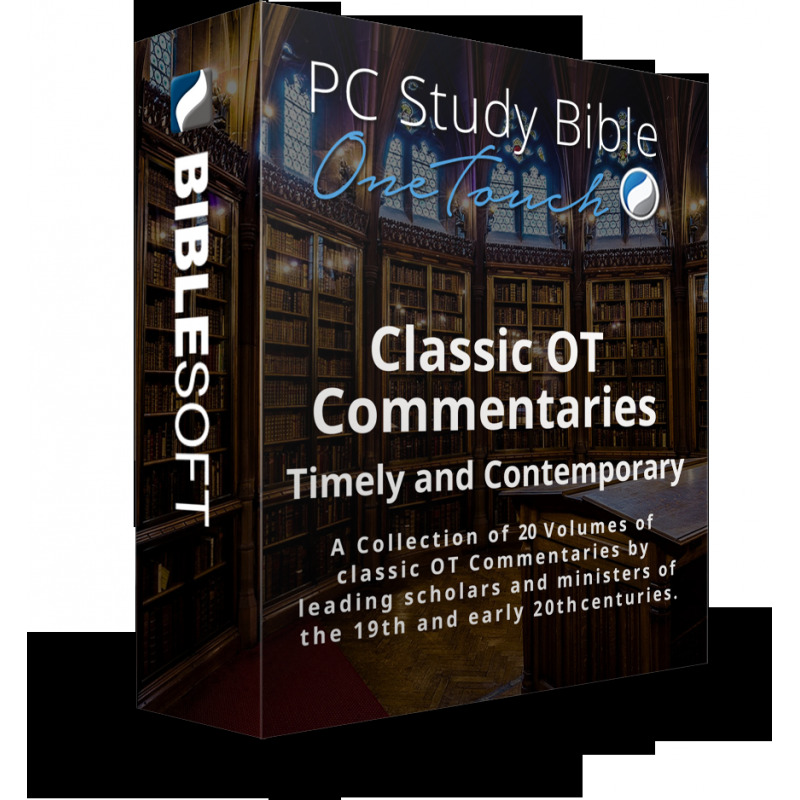 These twenty volumes of notes and commentary make a valuable addition to your library. Biblesoft brings together here thirteen (13) classic Commentaries on books of the Old Testament, by eleven distinguished scholars and authors. These twenty volumes of notes and commentary—including a variety of critical and exegetical, expository and devotional styles—make a valuable addition to the library of any student, pastor, or scholar. Most of this material is available to Biblesoft users in electronic form now for the first time, integrated with all of the other commentary and study notes found in the PC Study Bible and OneTouch libraries! 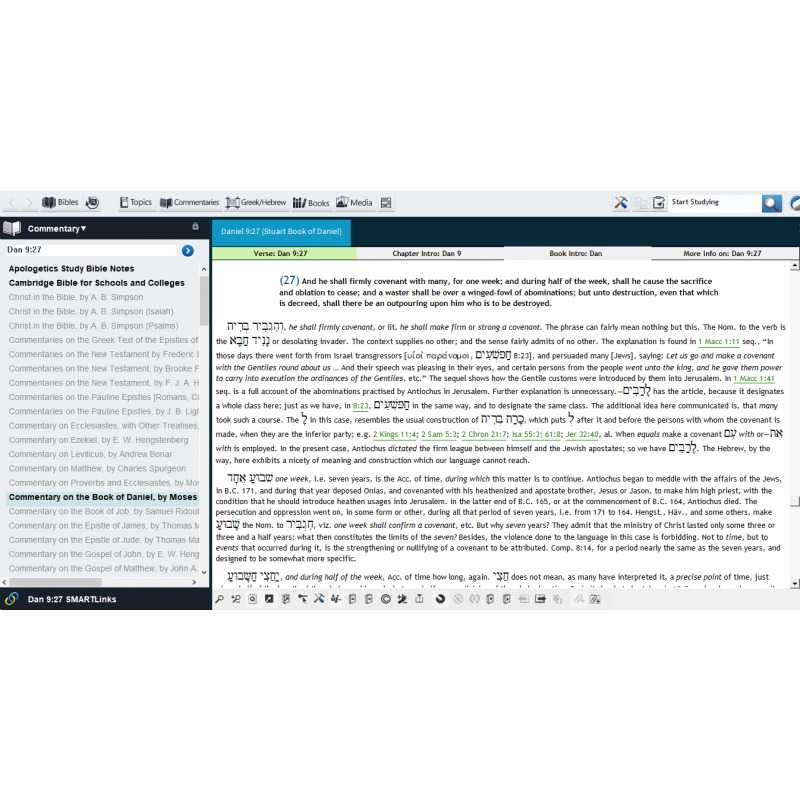 Find out information on the Hebrew (and Aramaic) words, see how they are translated in the Septuagint and English versions—compare insights found in the works of other writers and commentators on the Old Testament—study the detailed notes dealing with textual questions—and more! Featured in this collection are three critical and exegetical commentaries by Moses Stuart (1780-1852)—on Proverbs, Ecclesiastes and the Book of Daniel (also available for purchase separately). Stuart served as Professor of Sacred Literature in the Andover Theological Seminary, from 1809 until 1848. He was a pioneering American scholar in the area of Hebrew studies, Biblical exegesis (hermeneutics), and as one of the first to become especially acquainted with the rising tide of German critical scholarship. He is best known today for his writing on the interpretation of Biblical prophecy, which include his commentaries on Daniel and the book of Revelation. He also had an influence—largely through students such as Adoniram Judson—on the foreign missions movement in America. 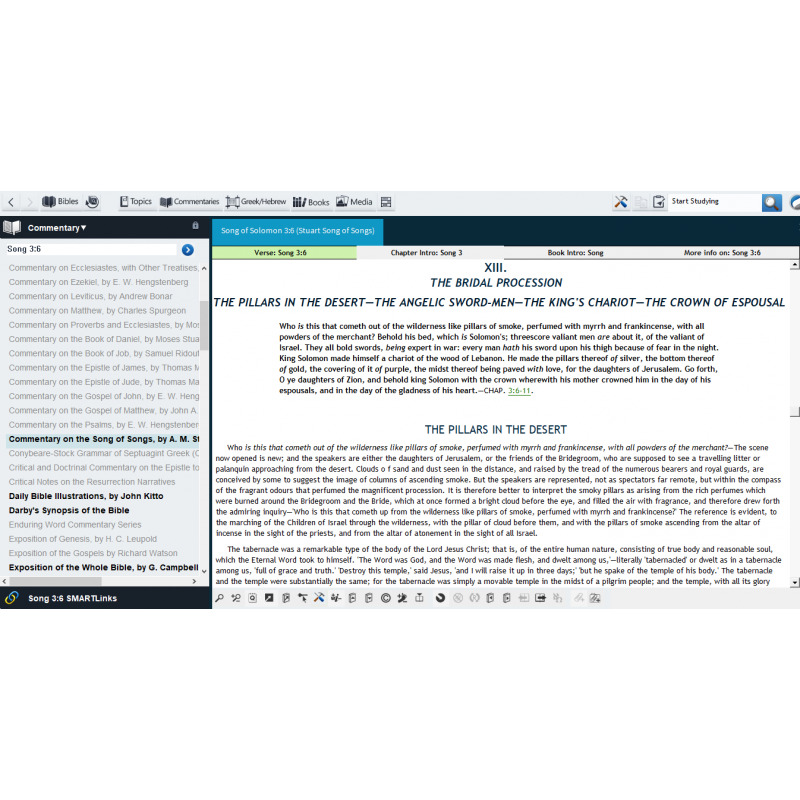 ADD the 12-volume collection of E. W. Hengstenberg's writings on the Old Testament and SAVE! 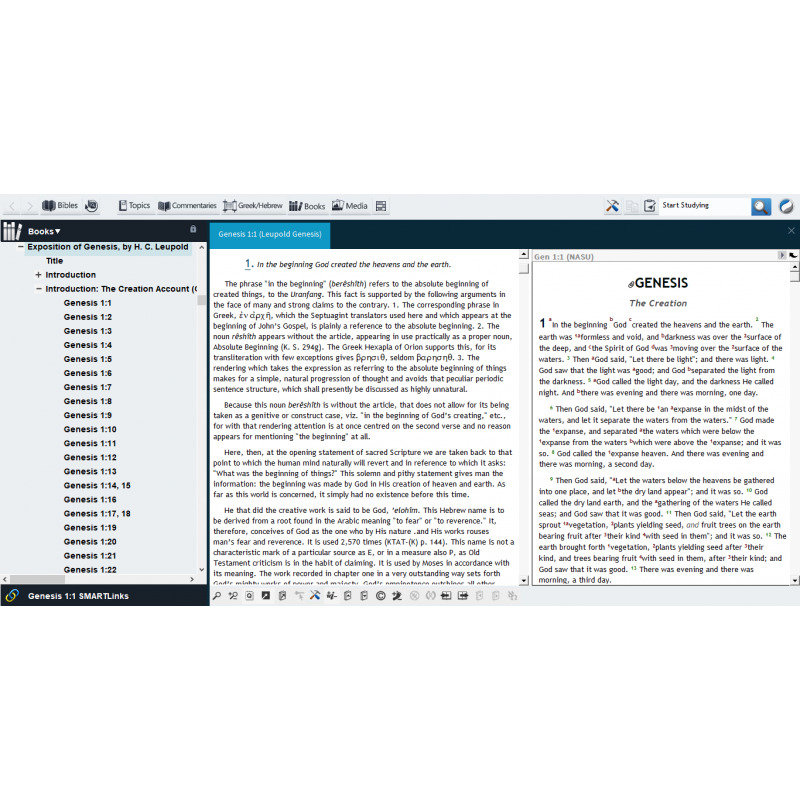 All of these can be accessed directly, by Bible verse, under the main Commentary menu, or under the category "Additional Commentary Material". They can also be explored and browsed by book outline (table of contents) from the Commentary dialogue, or via the "Commentaries" and "General Books" categories under the Books menu.